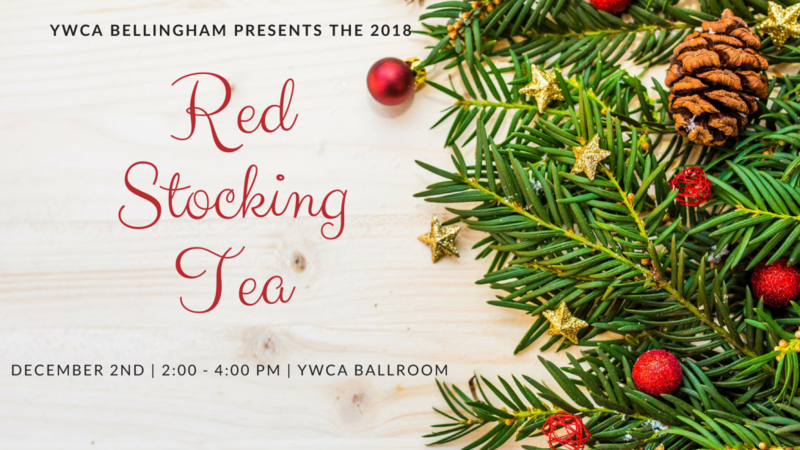 The YWCA Red Stocking Tea is an annual holiday celebration to honor those who have supported the YWCA in our mission to end homelessness and give aid to women in need. Please join us for the festivities! There will be an assortment of teas to drink out of our collection of antique tea cups, beautiful live music, raffle drawings, and delicious, locally-sourced holiday snacks. Thank you all – we are so grateful for our generous, kind, and supportive community! Please call (360) 734-4820 to RSVP.